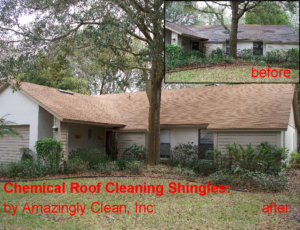 Chemical Roof Cleaning – Amazingly Clean, Inc. 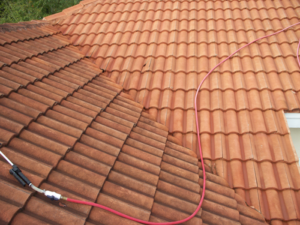 Question: Why is my roof black? 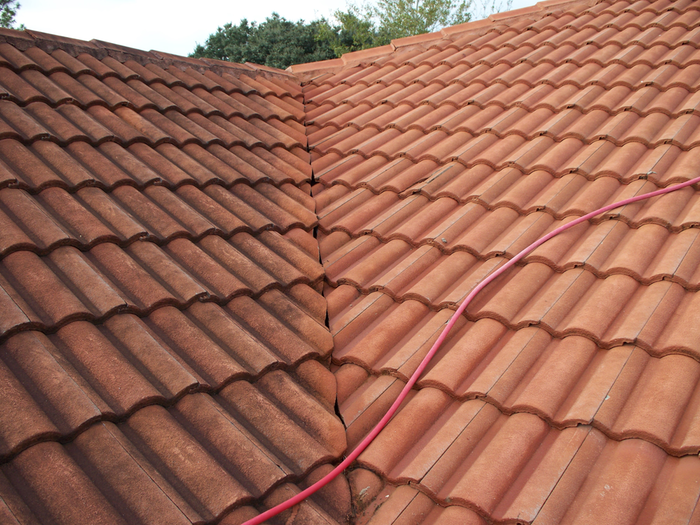 Answer: Most dirty roofs are covered in various molds, algae, fungus, and lichen. … Roof algae is most commonly Gloeocapsa magma (which isn’t even algae, but a bacteria). Put most basically this bacteria phtolyze (eat) water and expel oxygenas this leaves the black strikes that show up. 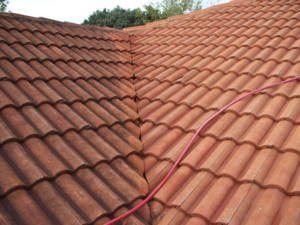 Cleaning your roof with Amazingly Clean’s System can not only look great, but aid in the roof’s longevity and prolong its integrity. 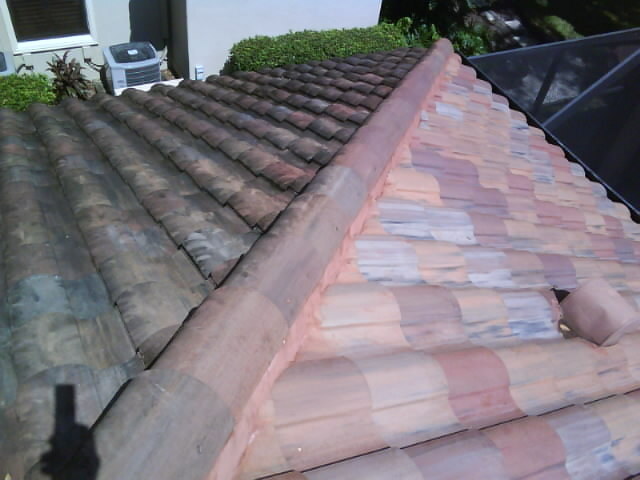 The bacteria that grows on all roofs weather tiles, shingles or aluminum will in time cause structural decomposition. Wakening the aggregate mixtures comprised in the tiles making them brittle, eating away the limestone in shingles or oxidizing protective coatings on painted aluminum roofs. 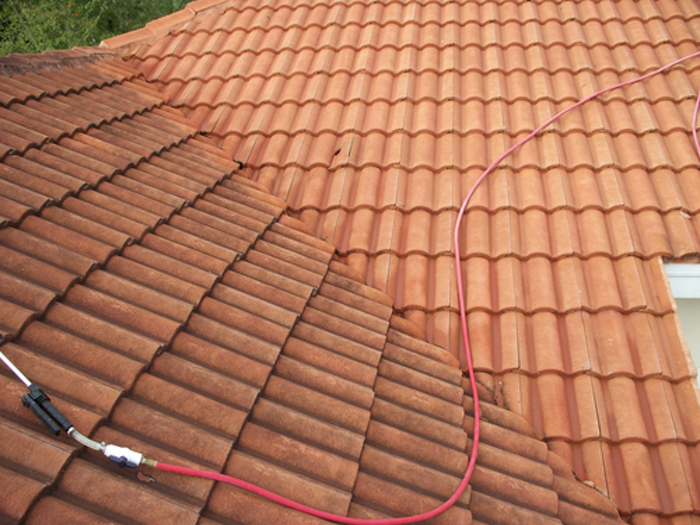 The answer to preserving your roofs longevity is to kill this bacteria and treat the algae. Apply product using low pressure machine with high volume (Foam will form). Rinsing is optional, but effective for immediate results. Low pressure 50 to 150 psi is used (just like a garden hose if rinsing is needed). 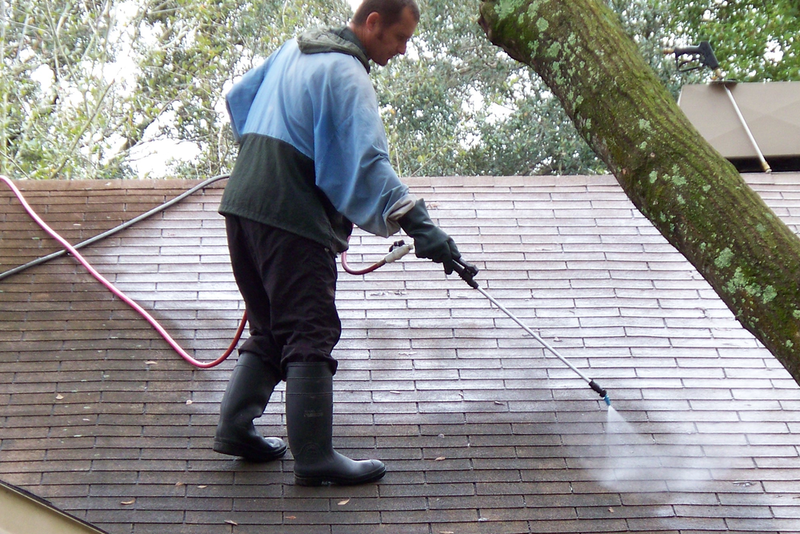 Let us help maintain your roof’s life by spraying a mold & mildew preventer (once every 6 to 12 months on shingles or tiles). 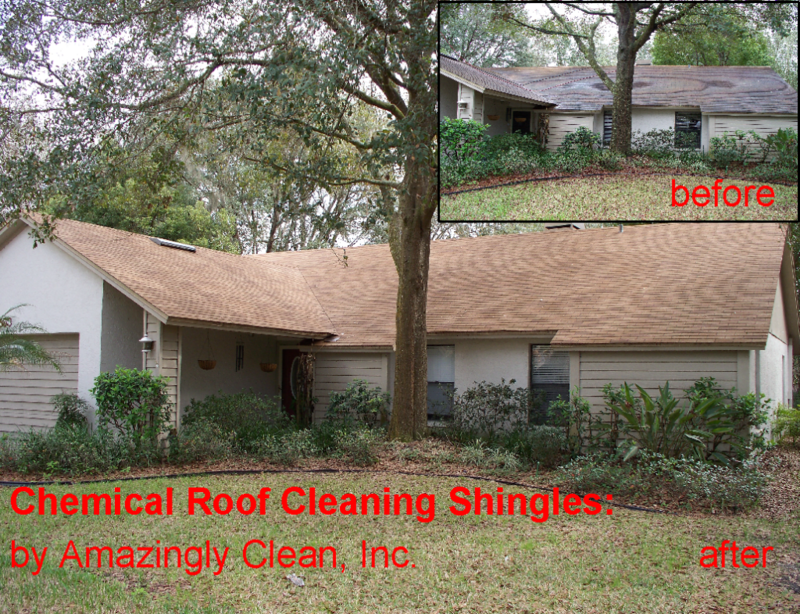 Enjoying your new roof, knowing the mold and mildew is dead. With our process roof bacteria growth is minimized anywhere from 2-5 years sometimes (depending on wind, conditions, tree overgrowth and water surrounding structure. Amazingly Clean has the most powerful equipment for cleaning to get my carpets and roof looking like new again. They are more clean than I thought could be possible. Don’t settle for anything less and for a reasonable price too. What is Two + Two?